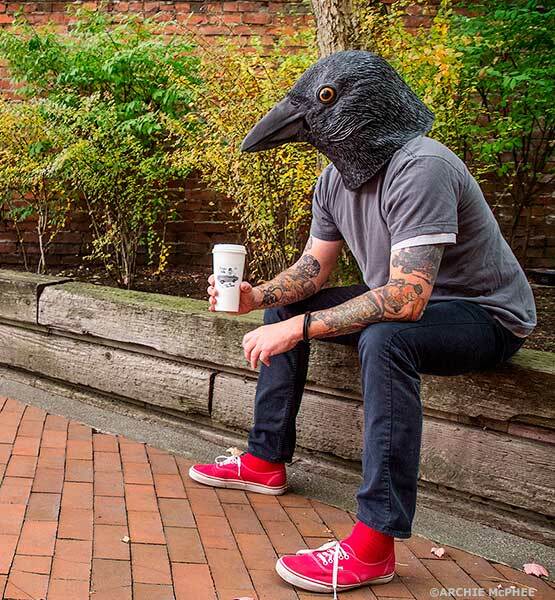 If you've ever wanted to become a crow, your time has come. The Realistic Crow Head is a giant mask similar to the Horse Head Mask that will make you look foolishly like a crow where you can creepily wander the streets, staring at people, with your beady, black, soulless eyes. 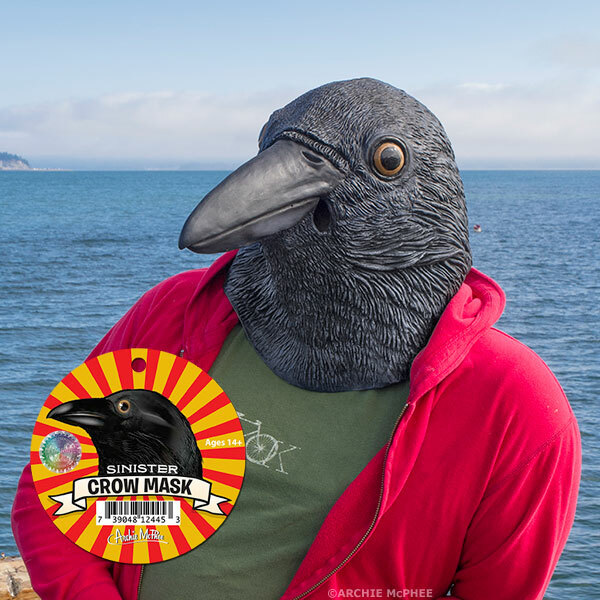 Whether you are someone who starves for attention at parties, you need a costume and are extremely lazy, or you just like to walk around being a creep, the crows head mask is for you. The crow mask is made from black latex with authentic looking paint, will cover your entire head and neck area, and will fit most non-obese sized adults.